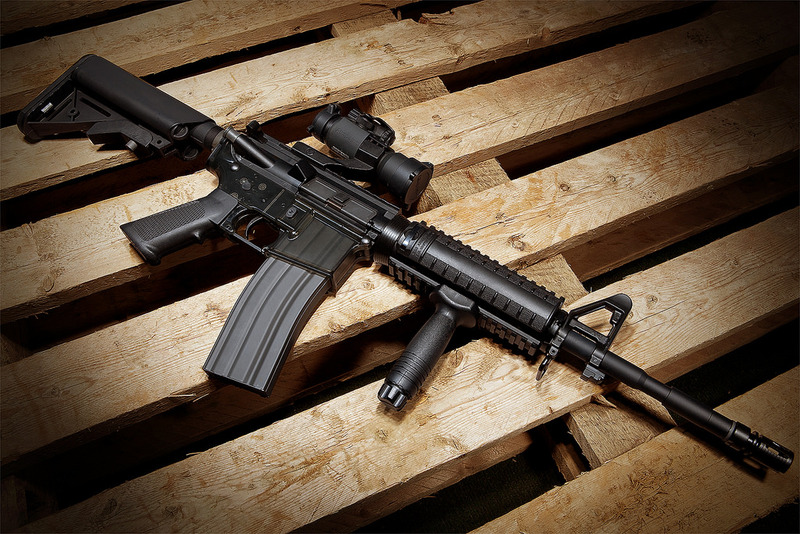 We all know that shooting can be dangerous without the proper safety measures. That’s why we do things like a treat every gun like it’s loaded and only point guns downrange. But many shooters are hurting themselves every time they fire a gun without even realizing it, by shooting without adequate ear protection. You see, loud noises like gunshots kill these tiny hairs in your inner ear that are responsible for detecting sound and transmitting it to your brain along the auditory nerve. Even hairs that weren’t initially damages may still degenerate over time as a result of the loud noise. While each gunshot does relatively little damage, these hairs don’t regenerate and you don’t get new ones, so each gunshot causes irreversible damage and the effects of each shot are cumulative. And don’t forget to factor in the damage from other loud noises you experience while not shooting, like noisy traffic, music (especially very loud or for a long time), and even household appliances like hair dryers, vacuums, blenders, lawn mowers, and leaf blowers, and power tools. Not only does this hurt your ability to perceive noise in the first place, but it can also cause you to hear a high pitch tone or ringing in your ears. Feeling like you need ear protection yet? Good. 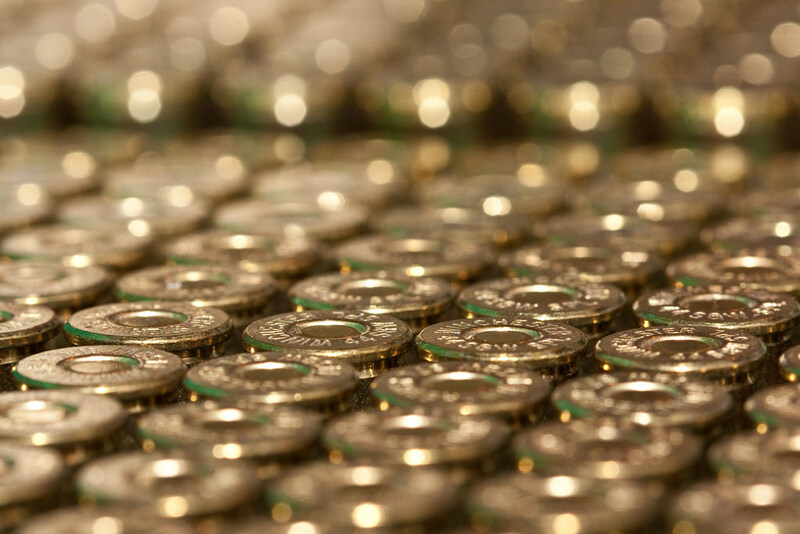 Now that we’ve established that you absolutely need to be using ear protection while shooting, let’s talk about what your options are for keeping your hearing safe. Earplugs are a great example of price not necessarily being indicative of effectiveness. Traditional earplugs are both incredibly affordable, with some disposable options being just a few cents a pair when bought in bulk, and incredibly effective, particularly at blocking out low-frequency noise, with many pairs having been rated for 30 dB or even higher. For reference, that brings the impact of the sound of the average gunshot (140 dB, though this obviously varies widely between firearms and cartridges) to about that of a lawn mower (110 dB). Still not safe for prolonged exposure, but certainly much safer than without the plugs. Ear plugs are available in a variety of materials, including wax, foam, polymer, and rubber, and work by forming a seal inside the ear to block sound which, as we’ve covered, makes them very effective, but can also be a problem by blocking sound indiscriminately. Once in, you won’t be able to hear someone talking to you without them yelling and you won’t be as aware of your surroundings. And you probably don’t want to be taking them in and out of your ears constantly either. Not only is that annoying, but also every time you handle your earplugs, you transfer more dirt and bacteria to them, which then goes straight into your ear canal when you put the plugs back in. Reusable ear plugs can be washed, but if you go with disposable ones, anticipate needing a few extra pairs, especially if you’ll be shooting all day. Use hand sanitizer before you insert earplugs, and for the love of God, if you drop them, please don’t put them in your ears. Ear infections cause hearing damage too. Fortunately, earplugs are super compact, so it’s easy to fit several pairs in your range bag or even just your pocket. Even disposable options typically include a carrying case, and some pairs of earplugs are even attached by string to make it easier to keep up with them. Because they fit inside your ear, they also don’t run the risk of interfering with your cheek weld like some external options can. Comfort varies based on material and design, but for the most part, they’re fine for several hours, especially if you go with a pair designed for wearing while sleeping or working. Regardless, make sure you’re following the instructions on the package when you put them in to ensure a proper seal and more comfortable fit. Foam earplugs, for example, need to be compressed, inserted into the ear, and held in place for a moment while they expand. If you have particularly narrow ear canals, you may have more difficulty finding a comfortable pair. Foam ear plugs are probably your best bet. On the other hand, if you have particularly wide ear canals, you won’t get a good seal and will need to either go with a specialty pair or a different form of hearing protection. You know what these are. Earmuffs have two pads that fit over and around the ear to create a seal against sound, attached by a headband or a wrap that goes behind the head. 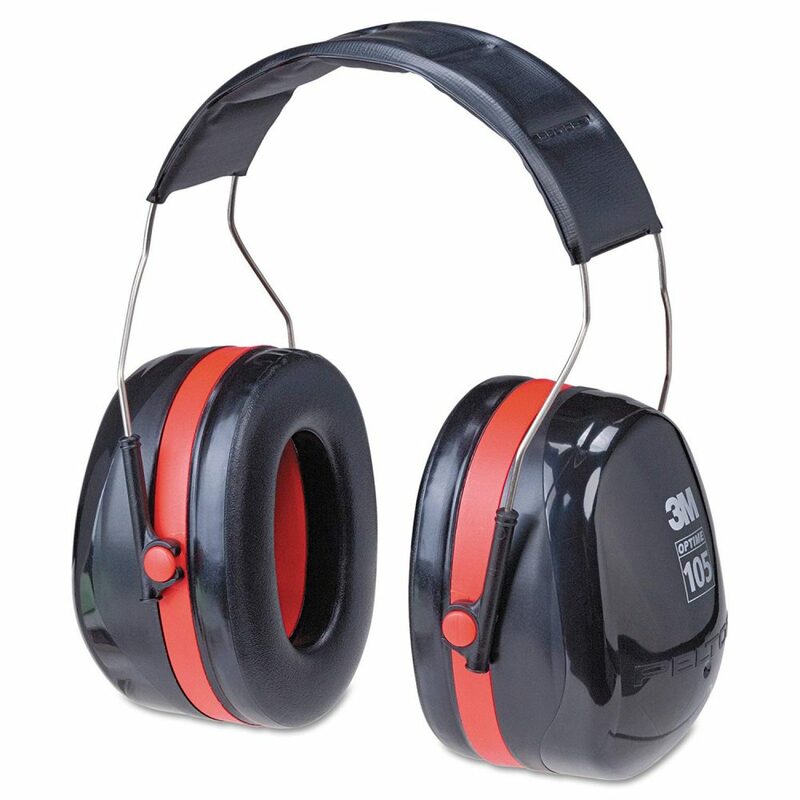 Earmuffs generally don’t offer as much overall hearing protection as earplugs do, but they do tend to offer better protection against higher frequency sounds. 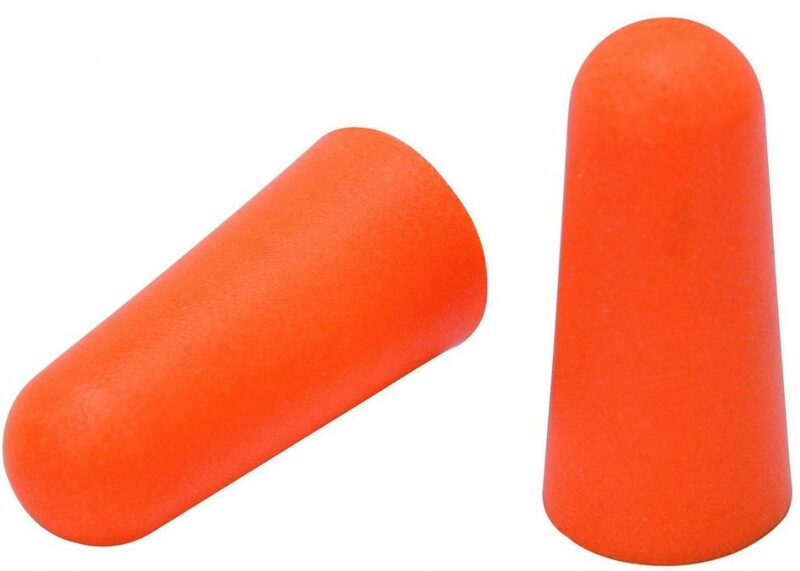 These do NOT count as hearing protection. Indiscriminate screening of sounds is also not as much of an issue with earmuffs since they can easily be taken off and put back on. They tend to be pretty comfortable, but some people don’t like the sensation of having their ears covered or dislike the bulk and weight of ear muffs. Also, in hot, humid, or damp weather, your ears can easily get swampy if ear muffs are worn for too long, and that’s exactly as unpleasant as it sounds. There are lower profile ear muffs, which you’ll sometimes hear called sound bands, but they may not offer the same protection as bulkier ear muffs if they rely on passive hearing protection alone (we’ll go into exactly what this means in a minute). Passive earmuffs also tend to be pretty affordable. Earmuffs are obviously a lot bigger than earplugs, but there are foldable versions that are more compact. That doesn’t address the problem of the bulk when actually wearing the ear muffs though. The pads can make getting a good cheek weld difficult, and both the band and pads can bump or get caught when moving through brush and branches or when in enclosed spaces. It can also be difficult to get a comfortable and effective fit when you also have long hair or a hat to deal with, and glasses (whether for vision correction or for safety) prevent a proper seal. 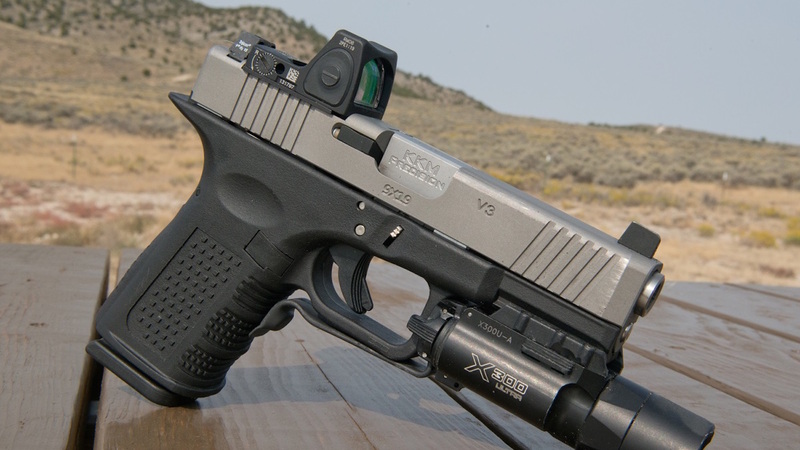 These days, there’s a smart device for everything, and hearing protection is no exception. Electronic hearing protection devices work by filtering out loud noises while still allowing you to hear (or even amplifying) lower ones, like conversations and the sounds of your surroundings. They often work in stereo and are sometimes able to be used as headphones as well as ear protection. 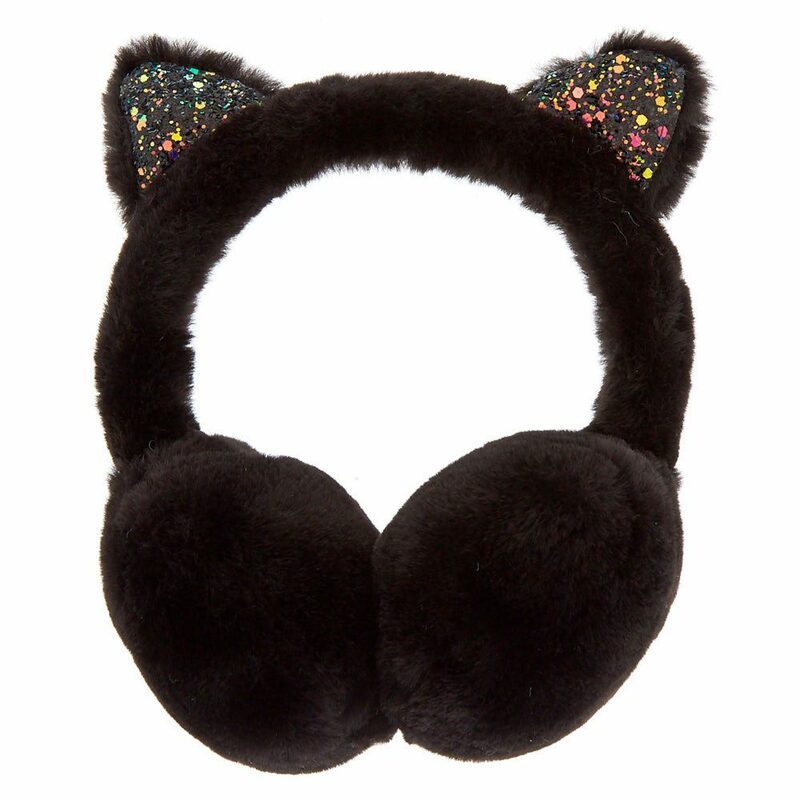 They’re available as both ear muffs and ear plugs, as well as ear cuffs. They generally have the same advantages as passive (non-electronic) versions except in one major area: price. Smart hearing protection doesn’t come cheap. An inexpensive set of electronic ear muffs can be $50 or more and won’t have any extra features but will have a lot of bulk. Fancier devices, like custom earplugs, will set you back much, much more. And if you’re the sort of person who’s misplaced a couple (or more) pairs of wireless earbuds, you’ll want to consider replacement costs as well, particularly if you plan on wearing them in the field, where it can be more difficult to find a dropped device, rather than just hanging out on the range. Speaking of the field, not all electronic hearing protection devices are water-resistant, so you’ll want to make sure you grab a pair that is if you’ll be traipsing through the wilderness in them. 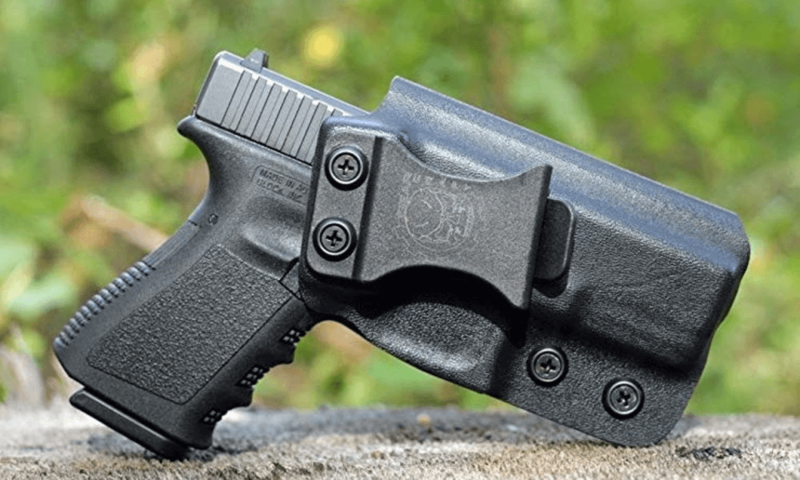 Finally, you’ll also need to make sure you have a backup battery, or at least a pair or two of cheap earplugs, in case your device’s battery dies in the middle of shooting. 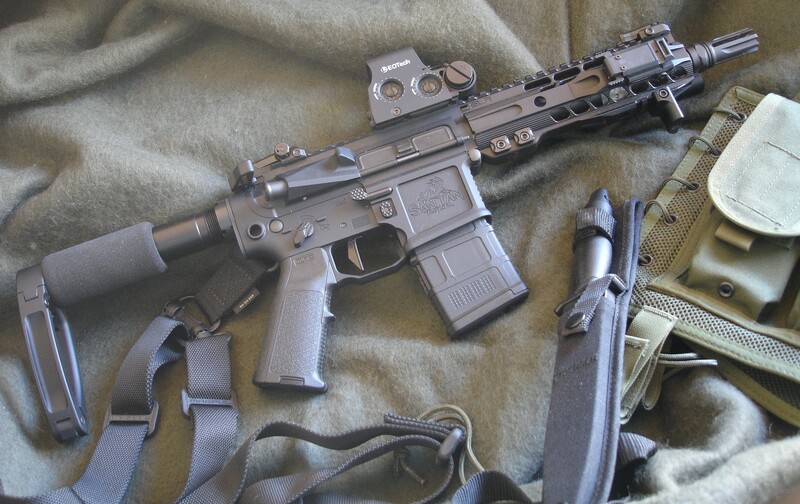 For more complete hearing protection, you can also wear passive ear muffs and ear plugs at the same time. Of course, you can’t really do this with electronic hearing protection since a secondary device will impede the electronic device’s ability to properly function. You also won’t get a noise reduction equal to that of each individual device added together because of science and anatomy reasons, but you will get an extra 10 to 15 dB of noise reduction on top of the noise reduction of the better device. 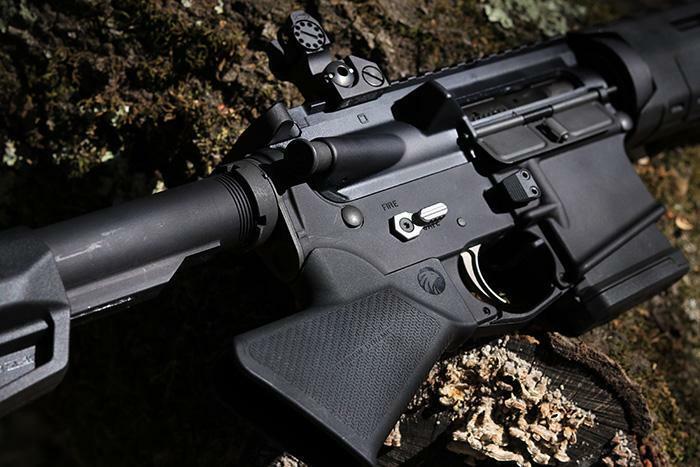 You can, however, get about another 30 dB of noise reduction on top of your hearing protection, electronic or passive, by affixing a suppressor to your firearm. With combined passive hearing protection and a suppressor, you can reduce your perceived noise from the average gunshot to about the same level as a dog barking or a vacuum cleaner several feet away. 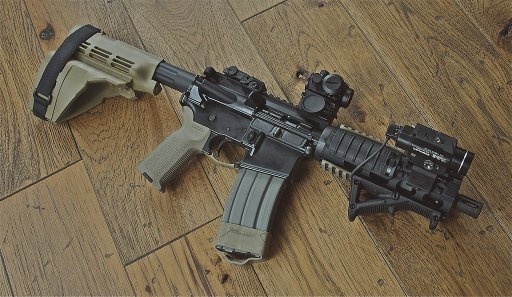 You’ll have to deal with some hefty bureaucracy to get one and they’re expensive, even before the extra $200 tax stamp, but if you’ve got the cash and are serious about protecting your hearing, it’s definitely worth it, especially if you’re routinely shooting louder firearms and rounds. Now that we’ve covered why you need hearing protection and what your specific options are, let’s move on to the recommendations themselves. These earplugs have a noise reduction rating (NRR) of 32 dB, about as high as you’re going to get with passive earplugs. 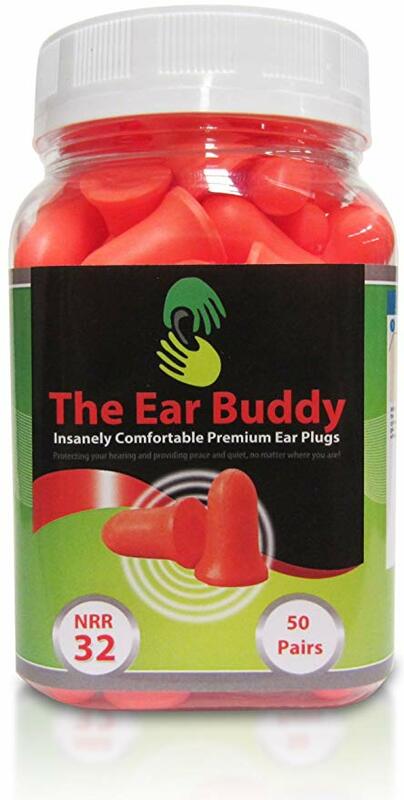 Foam is one of the comfier materials for earplugs, and the contoured shape of these plugs makes them even more comfortable and prevents them from falling out. Just make sure you properly compress them and hold them in place while they expand, in order to get the best possible protection and a more secure fit. These earplugs have a lower NRR rating at 28 dB, but they also have a pretty amazing feature that other passive earplugs don’t. 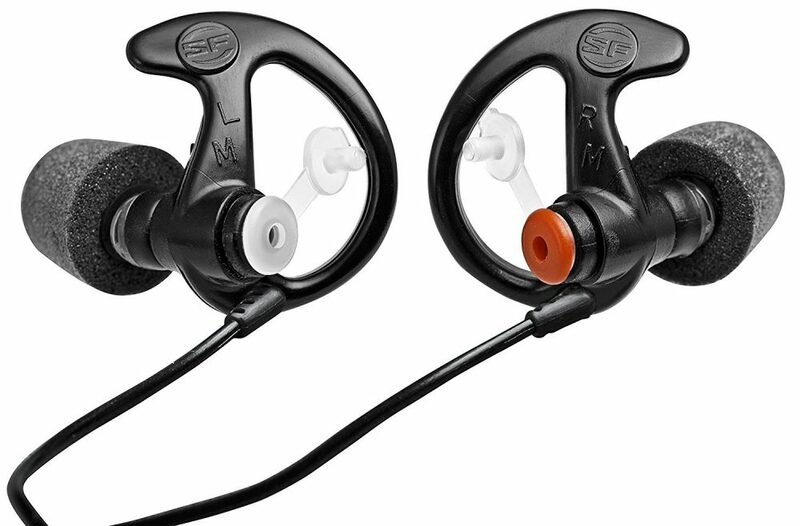 These earplugs have caps on the outside which, thanks to Surefire’s proprietary design, if left open allow low-level noise to travel through, allowing you to hear it while filtering out higher level noise. Note that the NRR rating is for when the filter caps are closed, so we recommend against leaving them open to shoot. Instead, just pop them open during your downtime. Sure, it’s still not as convenient as an electronic option, but you also don’t have to take them in and out and handle them as much as you would more traditional earplugs, so we still think it’s a win. The Sonic Defenders also have a removable cord to keep them together or let you wear them separately, and are available in three different sizes to help you get the best fit. 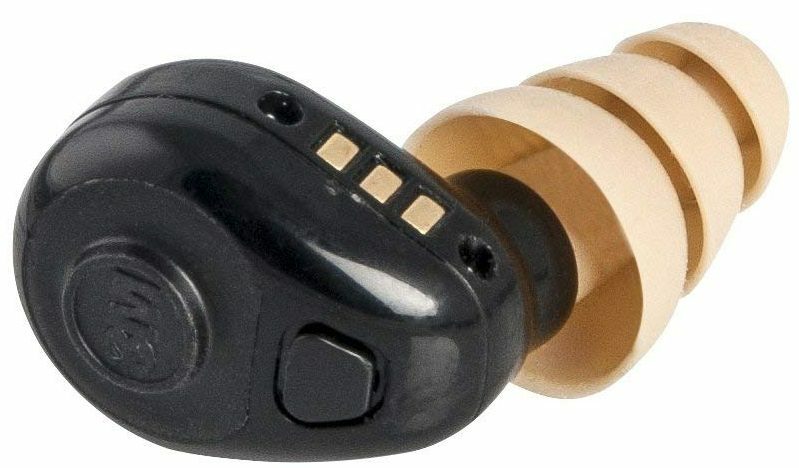 At 23 dB, these digital earplugs have a relatively low NRR, but that’s pretty standard for digital ear plugs and they’re still the electronic earplug of choice for many military and law enforcement units. 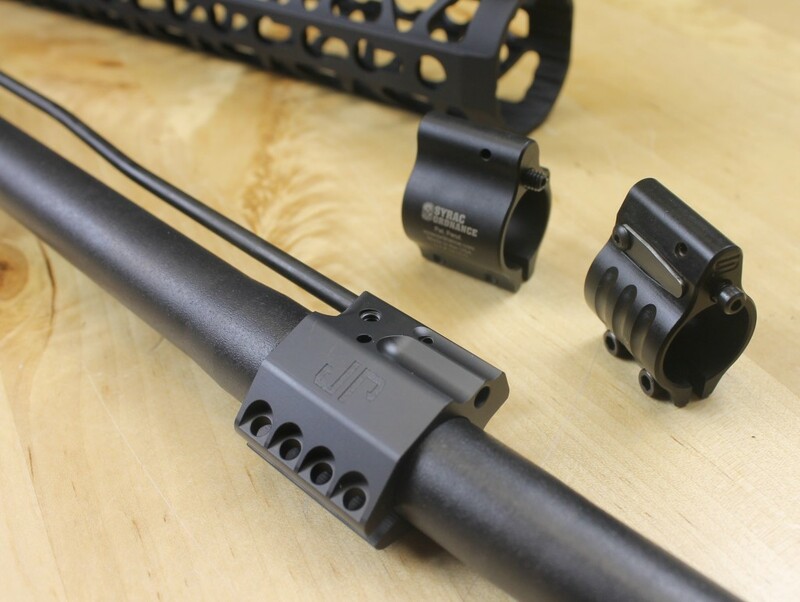 You can also improve their protection by switching the tip out for one of 3M’s other, interchangeable tips, the Triple C Communication Tip (27dB) or Skull Screw Communication Tip (30dB), but these tips are sold separately. These earplugs have a single button that allows you to turn the device off and on as well as switch between high and normal volume settings to allow the plugs to more effectively filter noise. They have a rechargeable battery and their carrying case also acts as a portable charging station. They’re also water-resistant, giving you a lot more freedom for where (and in what weather) you take them. Another winner from 3M, the Peltor Optime ear muffs have an NRR rating of 30 dB. They offer great protection and are quite comfy, especially for the super affordable price, but they are also pretty bulky. The weight isn’t an issue, but they’ll get in the way of your cheek weld if you’re shooting long guns. 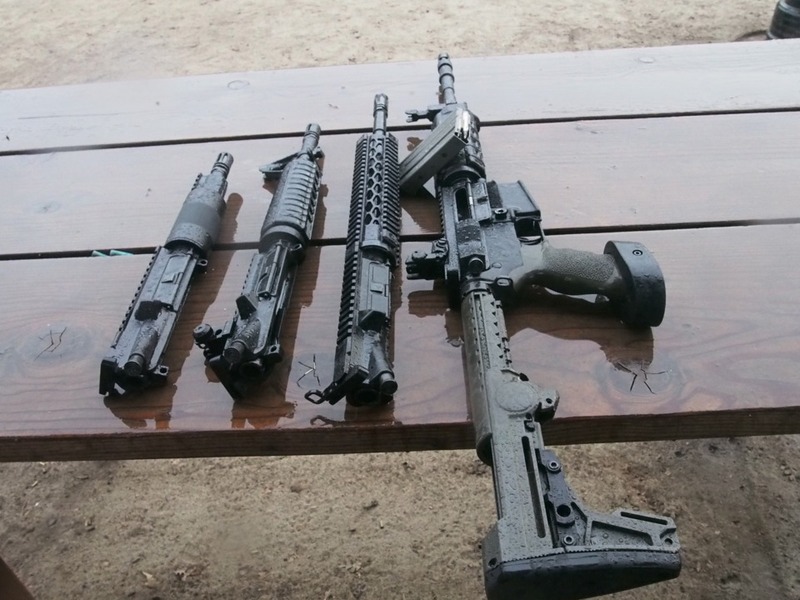 They’re much better suited for shooting handguns. 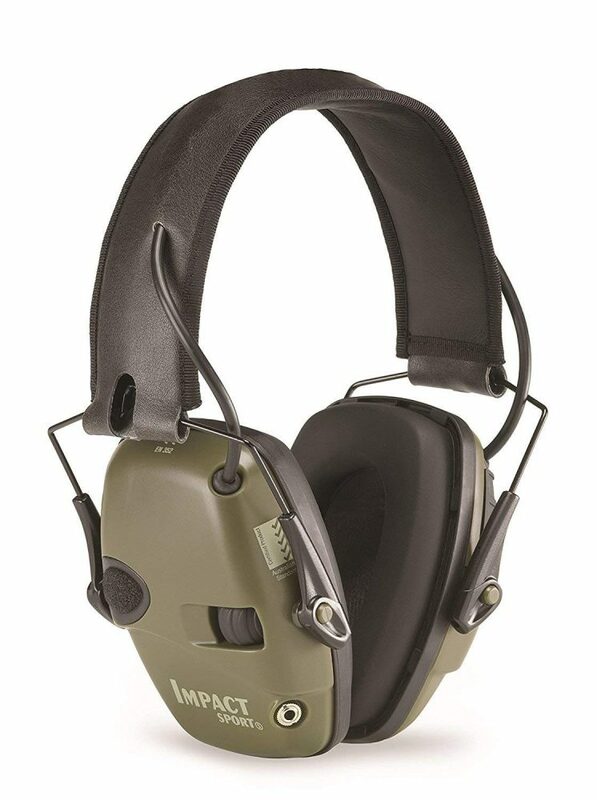 The Impact Pro from Howard Leight by Honeywell is similar to 3M’s ear muffs, with a 30 dB NRR and a comfortable, yet bulky construction. However, they do also give you the benefit of electronic noise filtering, letting you hear your surroundings while still blocking out loud noises. Again, due to the bulk, these are better for pistols shooting than long guns. These don’t offer the same hearing protection as some of the other options on this list, with an NRR of 22 dB, but they are much slimmer. 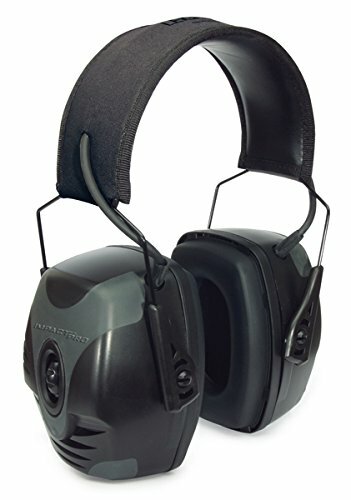 The more streamlined construction makes them a much more practical choice for shooting long guns than other ear muffs. All in all, these are a great way to try out electronic ear protection without dropping too much money. And they can also be used as headphones, so you can always just relegate them to that function if you decide you want some more serious hearing protection. Regardless of which particular hearing protection device you choose to go with, it’s essential that you take it seriously. Hearing loss is no joke, so keep your hearing protected, whether it’s with one of these devices or another. So what hearing protection strategy do you use? Do you agree with our recommendations or do you prefer a different device? Let us know in the comments.